Setting up a website is not an easy task. It takes a lot of preparation. First, defining the concept of the site and creating content and then the technical realization of the site itself. I’ll stick to the technical side of the story and of course to WordPress which is our CMS of choice. 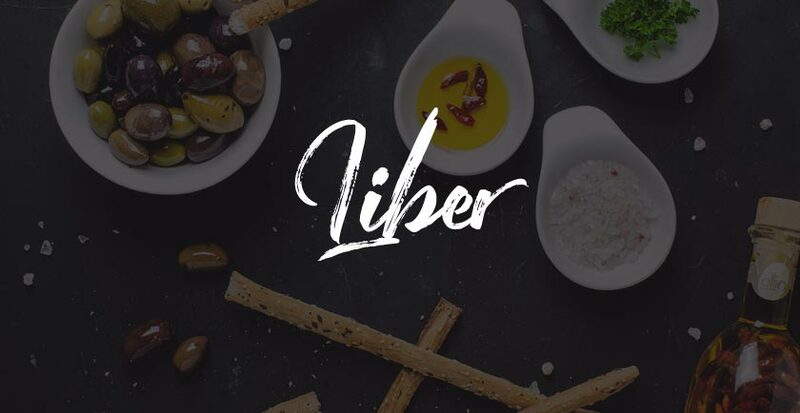 I’ll also use our latest premium restaurant WordPress theme, Liber. In 3 accompanying videos, you’ll see how to install the theme, import demo content and use Liber theme specific features to build your restaurant site. The technical side begins with hosting and domain, which you need to start building a WordPress site. I won’t go into details on why a good hosting is important for your site, but believe me, it has a huge impact. To put it shortly, a good hosting will make your site faster, more secure and reliable. After trying a lot of different hosting providers I can highly recommend SiteGround and WPEngine. They both provide up-to-date server technology that is fast, reliable and secure. Besides that, they both provide top-notch support. So, if you don’t have a hosting yet seriously consider these two. When you have your hosting ready, installing WordPress is mostly one-click 5-minute affair. Hosting support team will also assist you with that if required. Although choosing a theme is also a matter of taste, if you require a theme for a niche site, like a restaurant, I would recommend looking for a niche specific theme. There are many so-called, multi-purpose themes on the market, but as with all multi-purpose things in life, if you need something for a specific purpose then a dedicated solution regularly brings better results. As I mentioned above, for this post I’ll use our Liber restaurant WordPress theme to build a restaurant site. This theme comes with a set of features that every restaurant site needs and its layout is carefully crafted to be suitable for a restaurant, bar or pub websites. To see this theme in action please check the theme demo. Now, that you have your hosting, domain and WordPress set up it is time to install the theme. Just installing the theme is simple enough so in the video below we covered not only theme installation but also installing plugins, importing content and setting it all up to look exactly like in the theme demo. The video is under 5 minutes long, which means that in this short time you can go from zero to a fully fledged site and you’ll be ready to start replacing demo content with your own. If you were following the guide in the previous video, at this point you already have a beautiful looking site. You can already start replacing the demo content with your own in Pages and Post of your WordPress dashboard. However, to get the full understanding of how the theme is structured and what is possible to do with it, I’d recommend watching this next video as well. In this video, you’ll learn about customizer options and see usage examples. Liber comes with an innovative and easy way to set up and customize the front page through 5 front page panels. These panels are accessible directly from the Customizer. However, panels were not covered in the customizer video as we thought it would be better to dedicate one whole video to that and dig deeper in the options they offer. So, this last video is going to focus to the front page panels. You’ll learn how they work and what is the best way to use them. Setting up a restaurant website requires a couple of steps, but choosing a good hosting and a high quality dedicated restaurant theme can make your life much easier. In these videos, you’ve seen some of the features that come built into the theme. However, that’s not all. Besides having many useful features and layout options built into it, Liber supports some of the most popular plugins that your restaurant site might need. There is a support for Restaurant Reservations plugin that makes online table bookings easy, then WooCommerce that enables you to create a small shop on your site in no time, Elementor and Beaver Builder page builders that can help you create additional layouts and more. To find out how a dedicated restaurant WordPress theme can boost your business check our ultimate WordPress guide for restaurants.